In order to stay safe on the roads, your car’s brakes need to be regularly checked and maintained. The braking system consists of more than just brake shoes and pads. There are various other things that can go wrong. From problems with rotors and bent drums to hoses and lines, there are many things that may require your immediate attention as soon as you spot a problem. In order to stay on top the game, you need to listen to your car. To make things easier for you, we have identified three signs that you should always be on the lookout for…. This is probably the most common warning sign indicating that your brakes need a thorough checkup. On listening to the squeal closely, experienced drivers can even figure out which brakes needs your love. Ever wondered what’s the main cause behind this annoying sound? The braking system of your car is based primarily on the friction produced between the rotors and the brake pads. With time and usage, the brake pads tend to wear off. Luckily most modern brake pads can indicate the fact that they need to be replaced. When wearing off, they usually produce a sharp-pitched sound on coming in contact with the rotor. This is the point where you should ideally get your brake pads replaced ASAP to prevent further damage. If you ignore the sound and continue, the steel clips on the pads can damage the rotor, which is more expensive to repair and replace. This doesn’t happen too often, especially if you have a brand-new vehicle. However, if you feel some vibration when pressing the brake paddle, you should be alerted. The vibration indicates that your rotors have twisted or out of shape. This happens when you continue driving on a faulty brake pad or while driving for a longer period down a steep terrain. So, if you’re rotors are giving you those vibration signals, you need to get them checked as soon as possible. Rotors are not easily repaired and the chances are that you need to replace them. Brake pedals just have to be in a perfect working condition. Being too sensitive or mushy indicates different problems. If the brake pedals become too mushy, then there might be a problem with hydraulic systems or brake lines. Similarly, if these pedals are too sensitive, the problem usually indicates a dirty brake fluid or a worn rotor. Identifying the problem is one thing and fixing it is another. Finding the right auto repair shop is crucial to fixing all brake related issues. Some people tend to adopt a DIY style when it comes to fixing brakes but it is not recommended. 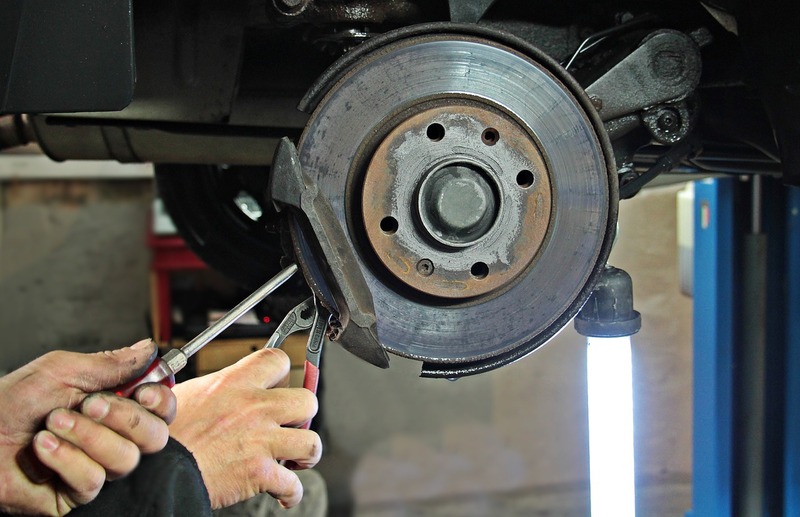 We recommend our readers to do some research and get the braking work done by an experienced auto professional. Hello, my name is Matthew Turner and I’m a licensed mobile mechanic in the State of Missouri. In my 20+ years turning a wrench on a car, I’ve had alot of jobs and seen alot of changes in the industry and absolutely love my life as a mobile mechanic, and based on repeat business, I’m guessing my clients do too.